I’m also putting up some of my previous works for sale. Send me an e-mail or message here to know if what you like is available. 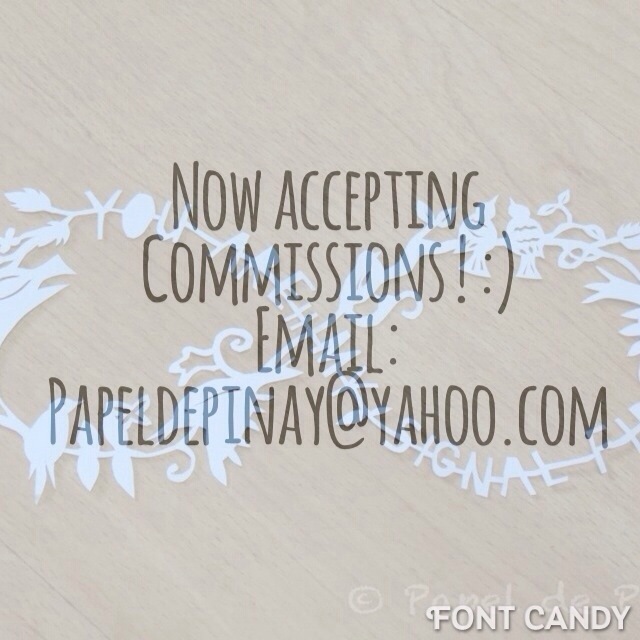 This entry was posted in Papercuts, Projects, Uncategorized and tagged crafts, etsy, gifts, papercraft, Papercut, papercutting, sale by wendypatricio. Bookmark the permalink.